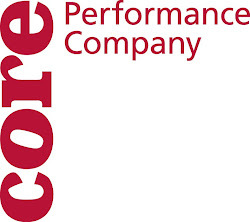 CORE Performance Company: Happy Wednesday! This is Sharon, one of Core's artistic affiliates. Alex has been doing a wonderful job of taking pictures of both Joanna and me, and now, you actually get to hear my voice, well...my cyberspace voice, at least. Wow, cyberspace voice! That was kinda corny. Bear with me. This is my first attempt at blogging. I have to say that I am having a wonderful time here at Core. The atmosphere here is very nurturing. I have, in some ways, come to think of Core as a second family. I feel as though I have found a group that I can share knowledge with, learn skills from, and trust, which is key when one dances with a particular group for an extended period of time. Speaking of learning, you have heard that many roles have shifted to new dancers. Joanna has taken Kim Kleiber's role in Beppie Blankert's Cumulus. Alex and I have taken Blake's roles in Cumulus and Sue Schroeder's The Point, respectively. We are all working really hard to own our new roles, so we are ready for "Let's Dance" at the Miller Outdoor Theater in Houston at the end of the month. By the way, I've never danced on the Miller stage, so I'm really excited about performing there. To help us get ready for the show, Blake Dalton is here to give us a hand. (Don't worry, he's resting his foot.) Blake being here makes it a happy Wednesday. Blake has a positive energy that radiates. His opinions are poignant and understanding. Also, he's an all-around quirky guy. So, when he's not around he's missed. We're all pretty bummed that he's injured, and we're praying that he gets well soon. Even though he's not dancing yet, I'm glad he's back. I also heard that Kim is going to be here on Friday to work on Cumulus. She's another person who through her radiance makes Core shine a little brighter. When she's here our Core family will be back to a full house. To reiterate what I mentioned earlier, Core is a group filled with sharing and trust. Repeatedly, I see a member step up and aid when another is in need. This nurturing environment is very comforting. I feel safe here, and I'm excited about the work that I will continue to do. yes...yay for having blake back, he is making the learning process easier! how did people do it back in the day when there wasn't video? thank you sharon for your kind words... we are happy to welcome both you and joanna into the fam.